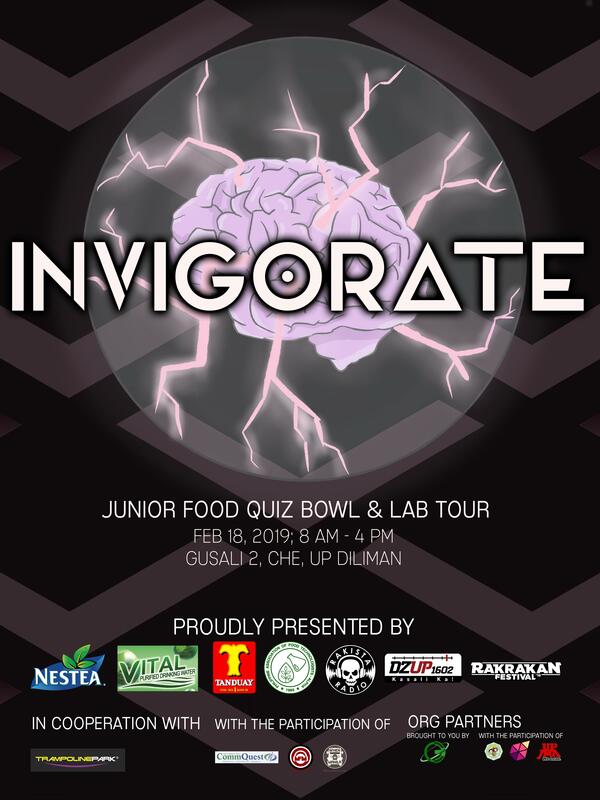 The Philippine Association of Food Technologists - Alpha Chapter invites all Grade 10 and 11 students to INVIGORATE: Junior Food Quiz Bowl (JFQB) & Lab Tour. This annual food science competition pits toe-to-toe some of Metro Manila top schools on food science and technology topics, including allied fields such as chemistry, physics, mathematics, and biology. 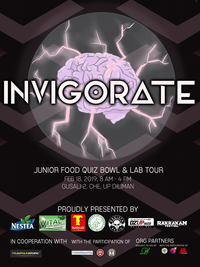 The JFQB is then followed by a laboratory tour of some of the CHE-UPD Department of Food Science and Nutrition's laboratory facilities, such as those for food microbiology, chemistry, processing, and analysis.